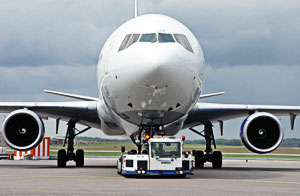 In aviation applications are numerous. First of all there is the famous SKYDROL aviation oil. Skydrol is a synthetic esther and specially designed to be explosion free. That’s why Skydrol always contains a high level of water. Typically new fresh Skydrol already contains more than 2.000 PPM of water. And in contrary to most other oil, in Skydrol the water concentration should always be between 1.000 and 4.000 PPM. Another application are the numerous Test benches. Test benches all use sophisticated but very sensitive servo-vales. They all require oil cleanliness levels of NAS 6 - ISO 18/16/14 or better. TRIPLE R holds the original patent that takes oil filtration to an unequaled high level of performance. The high level of oil filtration performance guarantees particle removal as well as removal of sludge, oxidation by-products, and water - all with just one filter concept!